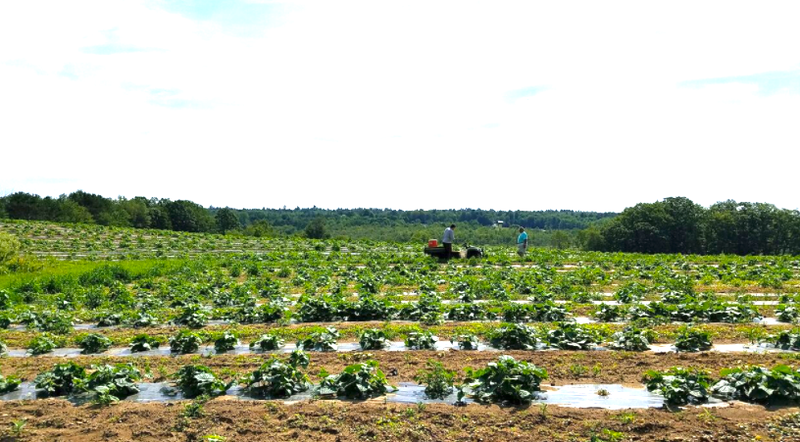 With a projected 2017 harvest of 100,000 pounds, Reentry Residents who work at the farm have lots to be proud of. Our Reentry Programs offer offenders who are serving the last months of their sentence a chance to learn interpersonal and employment skills, engage in community service, take personal enrichment classes and work within a transitional model of creating a life post-incarceration. In Belfast, at the Waldo County Jail, residents are offered the option of working in the Waldo County Maine Coastal Regional Reentry Center (MCRRC) Garden Project. “People either love it or hate it,” said Commissioner William Shorey, founder and director of the Garden. Farming is in his bones. “I grew up on a farm, milking a hundred cows twice a day. I got up at 3AM, milked for 3 hours, went to school, then came home at 3:30 to do it all over again.” He is one of the ones who loves it. “The guys who grew up in agriculture, some of them don’t enjoy this work. They thought they were done when they left home,” he smiles, “but some of the guys really love it. They are outside, they are growing food, they are learning all kinds of things that can be useful when they are done here…” Shorey said in all the years he’s done this project, he’s never had trouble with a resident. The “Garden Project” began with a five acre parcel and a good idea. Eight years later, it continues to expand into the 63 acres that comprise the farm. The first year they harvested 1000 pounds. This year’s yield is projected to be more than 100,000 pounds. And it is all given away. Let year they gave 20,000 pounds to the Belfast YMCA for families to pick up. This year it will be 30,000 pounds. The rest goes to churches and food pantries. "And of course, the guys eat from this garden all year long," Shorey says. "Jerome tells me that at meal time, the guys that worked the garden say things like, 'I grew those carrots, you better appreciate them!' They are very proud of their efforts." 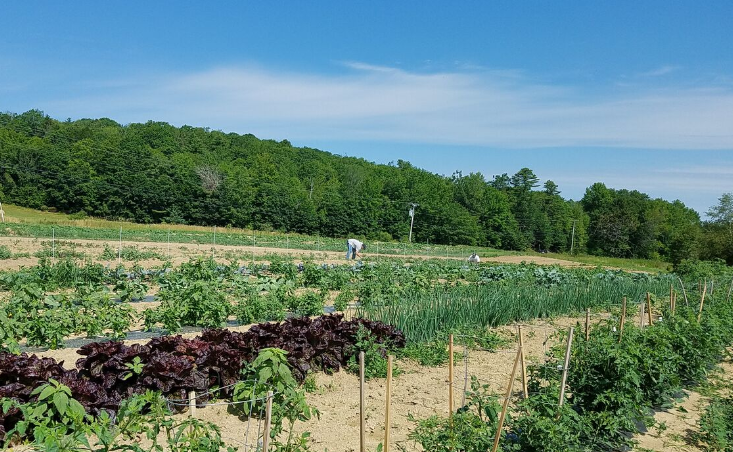 “This year, we’ve got 2.5 acres of butternut (some of them will grow to 5 pounds a piece) and buttercup squash, 20 rows of beans, fifty fruit trees, 2.5 acres of Kennebec potatoes (3000 pounds of seed potatoes will yield 45,000 pounds harvest), cucumber plants that will yield 1000 per day once harvest starts, a pumpkin patch that will yield at least 150 pumpkins, tomatoes and cherry tomatoes(we usually order 12 cherry tomato plants but this year they sent us 144 so we’ll be calling everyone we know to help pick), broccoli, corn, among other vegetables,” Shorey said as he drove around the farm on one of the tractors. Down at the giant pumpkin patch, a resident was standing with a frayed fan belt in his hand. “Out of business?” Shorey asked the young man. “Hop on, I’ll take you back to the barn,” Shorey said, and off they went to get a new fan belt. Along the way, the resident told Shorey about rebuilding one of the tractor engines. You could tell he was happy with his work. Reentry Center residents work three days a week, morning hours until early afternoon. 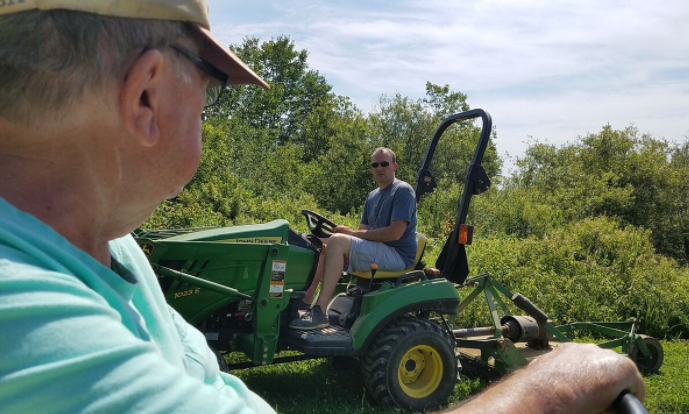 Shorey drives “the Gator” around with a water cooler to keep gardeners hydrated. And on hot days, they go to the Dairy Queen on their way back to Belfast. It’s a project with a lot of partners. For instance, a few years ago they had a very small harvest because Maine’s bee population had been decimated by a virus, so “The Bee Lady” who lives nearby keeps 8 or 9 of her hives right in the garden. If you walk anywhere close, you can hear the buzzing and see the constant activity of the worker bees coming and going. "We get the pollinators and she splits the honey with us," Shorey says, "Another neighbor hays the fields. He keeps the hay and we our fields mowed." When asked about irrigation during dry times, Shorey answered, “We plant these seeds deep. If they want to survive, they have to survive on their own.” It seems to be a garden philosophy that carries to rebuilding a life during reentry. 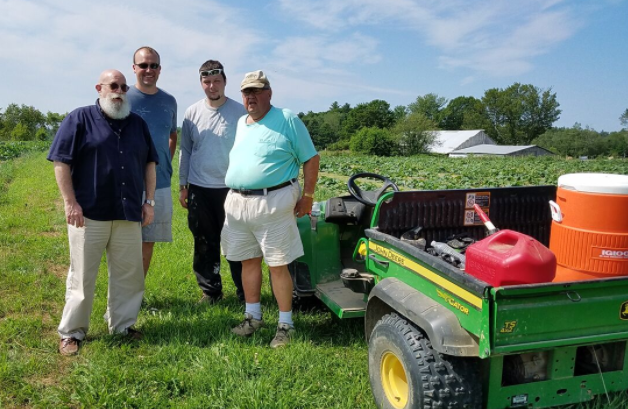 First you decide you want to survive, and then you figure out how to do it…with a little help from your friends in The Waldo County Garden Project and MCRRC staff and community.